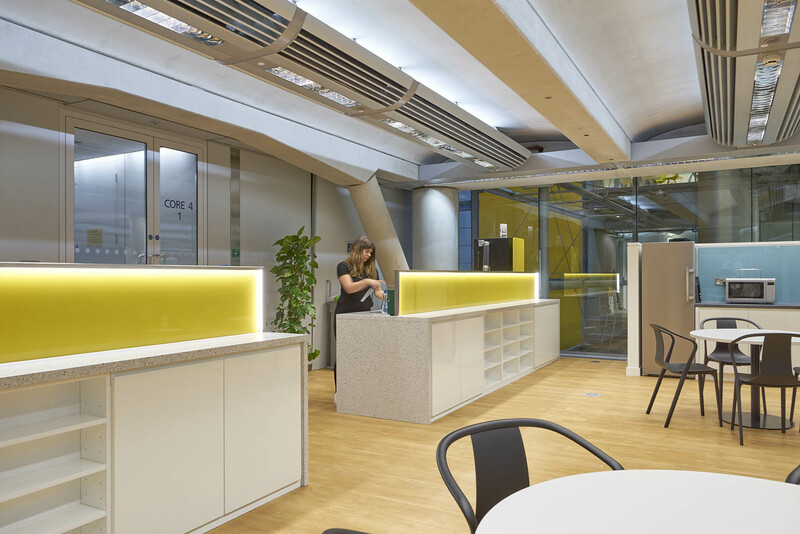 Our Cat B fit out of two floors brought together a number of companies under the Integro brand. 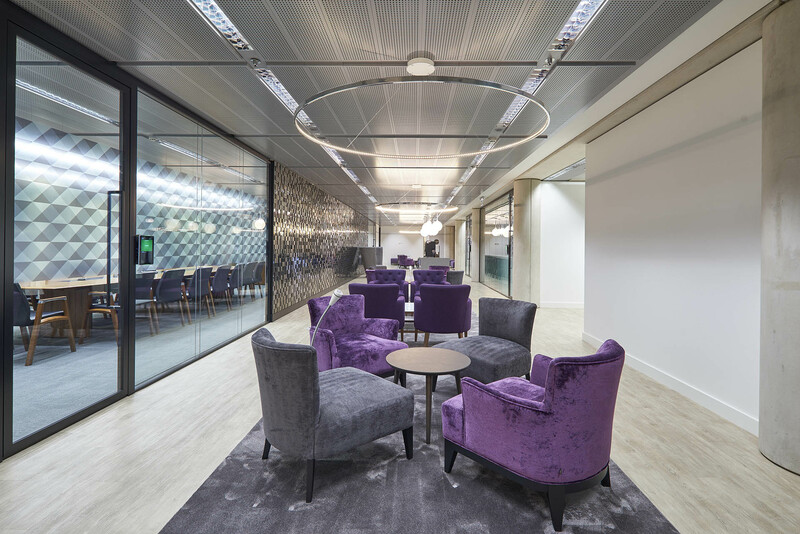 The fit out of 40,000 sq ft included the construction of meeting rooms, staff café, reception area with a large feature wall and open plan office space including copy points. 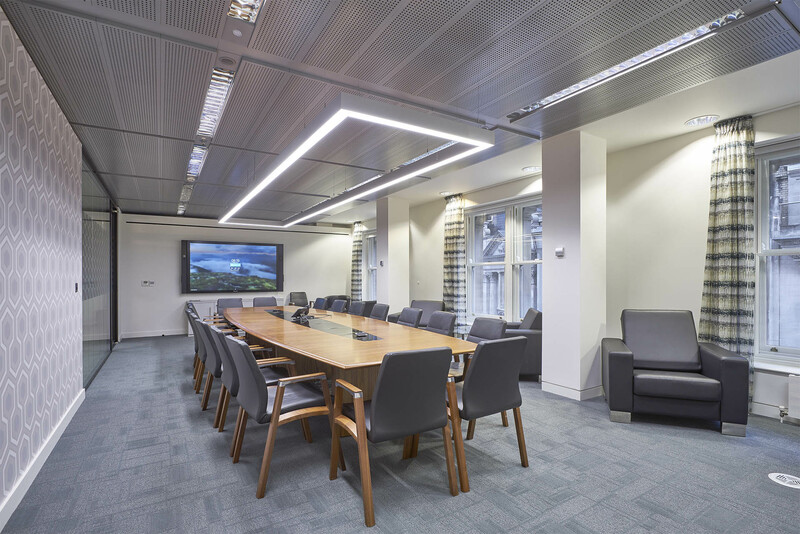 The base build chilled beams and ceilings layout were incorporated into the design detail to provide a new stunning, sophisticated working environment. 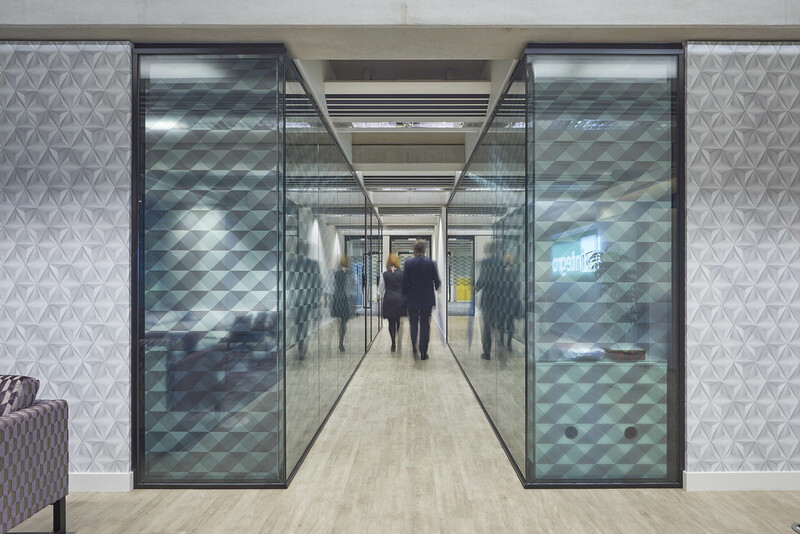 Stand out features include an impressive business lounge and servery area, which includes tiling with a mosaic-mirror effect, lighting and a bar. 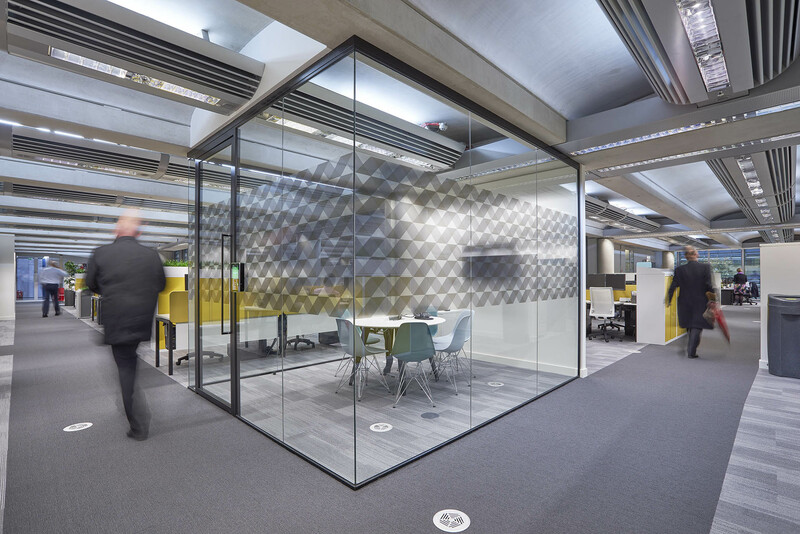 The project was delivered within a fully occupied building – making noise control of paramount importance. The buildings complex access regime also required close liaison with the client and existing tenants.